TUESDAY, MAY 14, 2019 | 5:30 P.M. - 8 P.M.
You and two guests are invited to attend this exclusive event to celebrate the presentation of the Council's 2019 Funding Awards. We'll hear from grantees and leadership at the Robert and Renée Belfer Center for Applied Cancer Science. Heavy hors d'oeuvres and refreshments will be served. Tyler Mathisen co-anchors CNBC's "Power Lunch" (1-2PM ET) and is Vice President for Strategic Editorial Initiatives working closely with CNBC's Business Development and Marketing teams on strategic initiatives and alliances. Mathisen also co-anchors "Nightly Business Report produced by CNBC," an award-winning evening business news program for U.S. public television. Previously, Mathisen was Managing Editor of "CNBC Business News" responsible for directing the network's daily content and coverage. Mathisen also hosted CNBC's "High Net Worth." Prior to this, Mathisen was co-anchor of CNBC's "Closing Bell with Maria Bartiromo" and "Tyler Mathisen." Mathisen has reported one-hour documentaries for the network including "Best Buy: The Big Box Fights Back" and "Supermarkets Inc: Inside a $500 Billion Money Machine." Mathisen is also the host of the CNBC series "How I Made My Millions." Before joining CNBC in 1997, Mathisen spent 15 years as a writer, senior editor and top editor at Money magazine. Among other duties, he supervised the magazine's mutual funds coverage, its annual investment forecast issue and its expansion into electronic journalism, for which it won the first-ever National Magazine Award for New Media in 1997. In 1993, Mathisen won the American University/Investment Company Institute Award for Personal Finance Journalism for a televised series on "Caring for Aging Parents," which aired on ABC's "Good Morning America." Mathisen served as money editor of the program from 1991 to 1997. He also won an Emmy Award for a report on the 1987 stock market crash that aired on New York's WCBS-TV. A native of Arlington, VA, Mathisen graduated with distinction from the University of Virginia. Follow Tyler Mathisen on Twitter @TylerMathisen. Hoda Kotb is the co-host of the fourth hour of NBC’s "Today." She began hosting the 10 a.m. hour when it debuted in September 2007, and she currently hosts alongside Kathie Lee Gifford. Kotb has also been a “Dateline NBC” correspondent since April 1998, and she is a New York Times Bestselling author for her book Hoda: How I Survived War Zones, Bad Hair, Cancer and Kathie Lee. Since Gifford and Kotb teamed up, the fourth hour of “Today” has been hailed as “appointment television” by Entertainment Weekly, and “TODAY’s happy hour” by USA Today. In 2010, the TODAY show received the Daytime Emmy for Outstanding Morning Program. Kotb traveled to Southeast Asia to cover the devastating effects of the 2004 Tsunami, and she traveled to war-torn Burma, led secretly by rebel soldiers, to report the complete story on 12-year-old twin warriors who were said to have magical powers. Kotb also co-anchored an MSNBC special on race, “Shades of Hope…Shadows of Hate,” which was reported from Birmingham, Ala. at the former site of a Klan bombing. Kotb is a three-year breast cancer survivor and has been a part of several initiatives to raise awareness about the disease. Diagnosed in March 2007, she shared her story on “Today” in October 2007. Kotb has received numerous awards including the 2008 Gracie Award for Individual Achievement, the 2008 Alfred I. duPont –Columbia University award and the prestigious Peabody in 2006 for her “Dateline NBC” report “The Education of Ms. Groves.” The four-time Emmy nominee also won the 2004 Headliner Award, the 2003 Gracie Award and the 2002 Edward R. Murrow Award. Prior to joining NBC News, Kotb worked at WWL-TV, the CBS affiliate in New Orleans, La. where she served as an anchor and reporter for the 10 p.m. news broadcast (1992-98). She was a weekend anchor and reporter for WINK-TV in Fort Myers, Fla. (1989-91). Prior to that, Kotb was a morning anchor and general assignment reporter for WQAD-TV, the ABC affiliate in Moline, Ill., and an anchor for WXVT-TV, the CBS affiliate in Greenville, Miss., (1986-89). Kotb began her broadcast career with CBS News as a news assistant in Cairo, Egypt (1986). Kotb graduated from Virginia Tech University with a Bachelor of Arts in broadcast journalism. She resides in New York City. 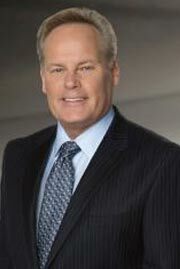 John W. Rogers, Jr. is Founder, Chairman and Chief Investment Officer of Ariel Investments. Headquartered in Chicago, the firm offers six no-load mutual funds for individual investors and defined contribution plans as well as separately managed accounts for institutions and high net worth individuals. Early in his career, John’s investment expertise brought him to the forefront of media attention, including being selected as Co-Mutual Fund Manager of the Year by Sylvia Porter’s Personal Finance magazine as well as an All-Star Mutual Fund Manager by USA TODAY. Today, he is regularly featured and quoted in a wide variety of broadcast and print publications and is a contributing columnist to Forbes. 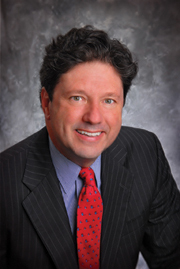 Beyond Ariel, John currently serves as a board member of Exelon Corporation and McDonald’s Corporation. Additionally, he is a trustee of the University of Chicago, where he also chairs the board of the University of Chicago Laboratory School and a director of the Robert F. Kennedy Center for Justice and Human Rights. In 2008, John was awarded Princeton University’s highest honor, the Woodrow Wilson Award, presented each year to the alumni whose career embodies a commitment to national service. Following the election of President Barack Obama, he served as co-chair for the Presidential Inaugural Committee 2009. Join fellow industry leaders at breakfast for an informative and entertaining discussion with finance expert Peter Ricchiuti, Assistant Dean at Tulane University's Freeman School of Business and founder of Tulane's nationally acclaimed Burkenroad Reports equities research program. Featured on CNN and CNBC, and in Barron's, The New York Times, The Wall Street Journal, and the Washington Post. "Call me crazy, but I'm starting to feel better about the stock market"